What Is Black Hat SEO (And How To Avoid It)? Many websites depend largely on search engine traffic to survive. This means Search Engine Optimization (SEO) plays a key role when it comes to determining their growth. However, if you try to use ‘black hat’ SEO tactics (i.e. bad practices with severe penalties) to climb through the rankings faster, you may end up hurting your website over the long-term. In this article, we’ll give you a quick introduction to black hat SEO and why it doesn’t pay off. 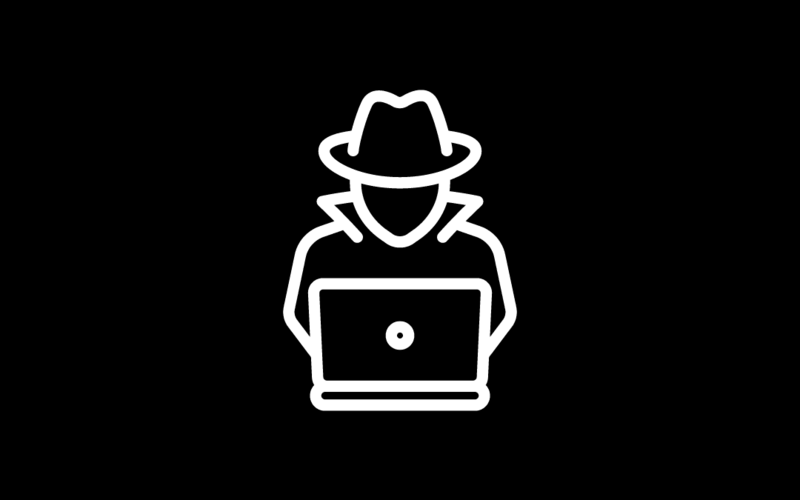 Then we’ll break down some black hat techniques you need to avoid if you don’t want your website to be penalized. Black hat SEO is a catch-all term for any technique aiming to improve your search rankings using sketchy or unethical approaches. In theory, the most relevant content should always show up first among results. However, search engines aren’t perfect. They’re powered by algorithms, and although their precise inner workings aren’t transparent, some can still game the results. It can hurt your rankings over the long term. Search algorithms are constantly improving to provide better results. One of the ways they do this is by penalizing sites looking to game the results. Your traffic can die suddenly due to algorithm updates. Even if your nefarious SEO tactics are paying off, a single update to a search engine’s algorithm can tank most of your traffic. It usually leads to poor-quality content. In our experience, the types of sites engaging in black hat SEO aren’t usually too concerned with quality, and it shows. Just to give you an idea of what black hat SEO might look like, imagine you’re running two blogs about exercise equipment. For one of them, you focus on creating the best articles, reviews, and comparison articles you can. You also put in a lot of effort researching keywords. However, you only use them when it makes sense within the context of each article. For your other site, you decide to play it fast and loose when it comes to SEO. You put up keywords anywhere you can, buy links from sketchy online marketplaces, leave spam comments on other sites leading back to your blog, and more. In short, you decide to pull every dirty trick in the book to get an edge. The second blog might get more visitors at first. However, we’d be willing to bet few of them would be willing to return. After all, quality content was not a priority. On the other hand, your first blog might take several months to start getting decent traffic. However, you won’t need to worry about search engine penalties or updates that cut your traffic by half. If you keep working on new and relevant content, traffic should flow to you. Black hat SEO techniques are pretty easy to spot in most cases. However, if you’re new to SEO, you might mistake some black hat methods as legitimate. Here are six of the most common black hat SEO techniques you should avoid! Finding the best running shoes in 2018 is tough. There are hundreds of best running shoes in 2018 to choose from. If you pick the wrong running shoe for you, your feet won’t thank you for it. Unless you’re a robot, your posts should never read anything like the above. To be fair, there isn’t a metric for how often you should use keywords within your content. The best we can recommend is you only use them when it makes sense to do so. The logic behind keyword stuffing is that search engines rely on keywords and metadata to make sense of your content. So, it stands to reason the more times you use a keyword, the more relevant search engines might think your pages are for particular queries. It sounds reasonable. However, as you might imagine, search engines have adapted to detect this approach. In addition, they also penalize websites using the tactic by simply not displaying the offending content. The next time you’re working on an article, and you’re not sure if you’re overdoing it when it comes to keywords, just go over it a few times. Make sure what you’re saying sounds natural, and if possible, get another set of eyes to go over it. You can even use Yoast SEO or another plugin to monitor keyword density and usage. If you’re overdoing it with the keywords, chances are it’ll be noticeable to others. One of the ways search engines determine what content is the ‘best’ is by checking how many other websites are linking back to it. The logic is that if your content is good, other sites will want to share it with their visitors. It sounds like a reasonable proposition since you both get something you want. However, if someone is selling links, chances are you’re not their only client. They’ll want to sell as many as possible, so search engines might mark them as spam. The result usually is that you’ll waste money on links not helping your site rise in the SERPs. In fact, you might get penalized for them. As for the person who sold those links to you, they’ll probably just keep trying to swindle more people out of their money. When it comes to black hat SEO, there are few techniques worse than article spinning. It involves finding posts that tackle the same ideas you want to publish, and changing their wording enough to make them appear unique. To be fair, chances are you’ll find plenty of other people have already tackled a lot of the same subjects you may want to. However, this doesn’t mean it’s impossible to write original articles. It’s always possible to take a shot at the same ideas other people have and improve on them without copying their content in the slightest. On top of being unethical, a lot of services enable people to detect when someone copies their content. You might fool those services and search engines. However, with all the effort it would take, you’d be better off writing original articles in the first place. The more information you give search engines, the more likely the algorithm knows when to display your pages. Plus, rich snippets feature a higher Click-Through Rate (CTR) than normal links. Thus, it makes sense to use them whenever possible. Using keywords within your markup makes sense. However, the same rules apply to schema markup as they do to the rest of your content. You should never try to spam keywords within your markup or your meta description. Not only will search engines be able to tell but cramming a lot of keywords into a short paragraph almost never sounds good (remember the example from the first section!). Web rings are groups of websites that link to each other in an attempt to fool search engines into believing they’re more popular than they are. For example, imagine you have four websites all on a similar niche, and you use each of them to discuss slightly different content. Then, you add links to each other whenever it makes sense to do so within your content. It sounds pretty cut and dry. However, search engines are good at catching this practice. After all, it’s pretty obvious what’s going on if you have a group of websites only linking to each other. Even if you take precautions to also link to other sites, the backlinks you do get might not benefit you. After all, search engines not only care about the number of links, but their quality. However, if you’re part of a web ring with top-notch websites and content, you might get good results. However, if you’ve got a popular website with a lot of great content, you should be getting backlinks without having to enter shady arrangements. If you’re having problems building links to your site, there are plenty of white hat SEO alternatives you can try without succumbing to the dark side. In some cases, they will at least make an effort to write a comment relating to the article. However, their main goal is to add a link to their website from yours. Instead of buying links or exchanging them, people just spam them anywhere they can. According to some sources, link-building using blog comments can have a positive impact on your website. However, you also need to understand a lot of people will dismiss your comments as spam. Some websites might even remove them or ban you from commenting outright. The right approach, in this case, is only to include links to your website whenever they’re relevant and not tack them as an afterthought to your comments. Even then, you should only use this technique sparingly in order to play it safe. Growing a website’s organic traffic takes time. When it comes to SEO, there aren’t any shortcuts you can take. If someone tells you otherwise, they’re probably trying to sell you something. The good news is, as long as you keep publishing great content, your search engine rankings should improve organically. There are a lot of black hat SEO techniques you need to avoid, such as keyword stuffing and buying links. Generally speaking, if a method seems somewhat sketchy, you’d best listen to your instincts and walk away!